A recombinant antibody-like fusion protein (TNFR2-IgG1 Fc) consisting of the soluble extracellular ligand-binding domain of human tumor necrosis factor receptor-2 (TNFR2) linked to the constant (Fc) region of human immune globulin G1. It is expressed as disulfide-bound dimers in transformed Chinese hamster ovary (CHO). Interferons are a group of antiviral proteins produced in reaction to viral infections. It boosts the resistance of surrounding cells to attacks by viruses, inhibits viral multiplication and modifies the body’s immune response. Interferon alfa is the type that has been found to be most useful in the treatment of certain forms of cancer, including metastatic renal cell carcinoma and hairy cell leukemia. Interferon alfa-2a refers to a recombinant, non-glycosylated, N-terminal methionine alfa protein expressed in Escherichia coli (E.coli). Recombinant Interferon alfa-2a is a purified protein containing 165 amino acids, and it has an approximate molecular weight of 19,000 daltons. Interferons are a group of antiviral proteins produced in reaction to viral infections. It boosts the resistance of surrounding cells to attacks by viruses, inhibits viral multiplication and modifies the body’s immune response. Interferon alfa is the type that has been found to be most useful in the treatment of certain forms of cancer, including metastatic renal cell carcinoma and hairy cell leukemia. Interferon alfa-2b was also the first molecule to be approved for chronic hepatitis B.
Interferon alfa-2b is a recombinant, non-glycosylated alfa interferon protein expressed by Escherichia coli (E.coli) transformed with the gene for Interferon alfa-2b from human leukocytes. It is a type I water-soluble interferon consisting of 165 amino acids and has a molecular weight of 19,271 Daltons (19,271 kDa). Pegylated form of recombinant Escherichia coli (E. coli)-expressed interferon alfa-2b protein. Pegylation involves the covalent linkage of a single inert straight-chain polyethylene glycol (PEG) polymer strand , which protects the molecule in vivo from proteolytic breakdown, substantially increases its in vivo half-life, and reduces immunogenicity. Chronic Hepatitis C in patients with compensated liver disease previously untreated with interferon alfa. Interferons are a group of antiviral proteins produced in reaction to viral infections. It boosts the resistance of surrounding cells to attacks by viruses, inhibits viral multiplication and modifies the body’s response. Interferon beta is produced by fibroblasts. It is used in the treatment of multiple sclerosis. Interferon beta-1a is a human recombinant glycoprotein expressed by Chinese hamster ovary (CHO) cells transformed with the human interferon beta-1a gene. The amino acid sequence of human Interferon beta-1a is identical to that of human fibroblast-derived Interferon beta-1a. CHO-expressed Interferon beta-1a is a 166 amino acid glycoprotein with a predicted molecular weight of approximately 22,500 Daltons (22.5 kDa). Its glycosylation is similar to that of human Interferon beta-1a, and occurs at the asparagines (Asn) residue at position 80. Interferons are a group of antiviral proteins produced in reaction to viral infections. They boosts the resistance of surrounding cells to attacks by viruses, inhibit viral multiplication and modify the body’s response. Interferon beta is produced naturally by fibroblasts. The recombinant protein is expressed in E.coli. Interferon beta-1b is a non-glycosylated protein containing 165 amino acids and relative molecular weight between 18 and 20 KD. 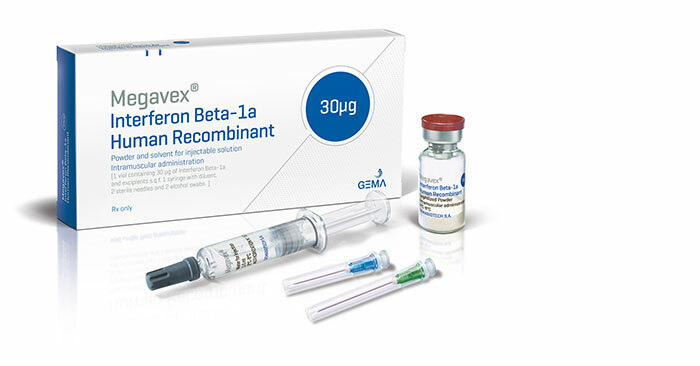 Interferon beta-1b is indicated for the treatment of relapsing forms of multiple sclerosis to reduce the frequency of clinical exacerbations. Erythropoietin (Epoetin alfa) is a human hematopoietic growth hormone produced in the kidney that is involved in stimulating the production of red blood cells (erythrocytes) in the bone marrow. Erythrocytes transport oxygen to the body´s cells. It is secreted as a response to low saturation levels of oxygen in the blood that is filtered through the kidneys. Recombinant Erythropoietin is expressed in mammalian cells into which the human erythropoietin has been introduced. Erythropoietin is an acidic single-chain, 165 amino acids glycoprotein of approximately 34,000 Dalton (34 kDa) molecular weight. The product contains the identical amino acid sequence of isolated natural erythropoietin. Filgrastim, also referred to as granulocyte colony-stimulating factor (G-CSF), is produced by a number of different tissues to stimulate the bone marrow to produce granulocytes. It also stimulates the survival, proliferation, differentiation and function of neutrophil granulocyte progenitor cells and mature neutrophils. Filgrastim is a 175 amino acid protein produced by recombinant DNA technology. It is a cytokine that belongs to the family of drugs called hematopoietic (blood-forming) agents. The product is expressed in Escherichia coli (E.coli) bacteria into which has been inserted the human granulocyte colony stimulating factor gene. 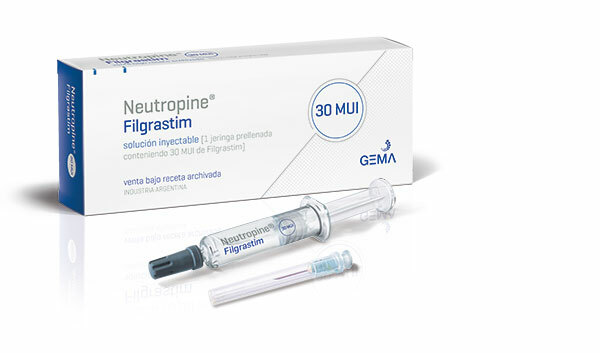 Filgrastim has a molecular weight of 18,800 Daltons (18.8 kDa). The protein has an amino acid sequence that is, with one exception, identical to the natural sequence predicted from human DNA sequence analysis. Since Filgrastim is produced in E.coli, the product is nonglycosylated and thus differs from G-CSF isolated from a human cell. Peg Filgrastim is a pegylated form of filgrastim (granulocyte colony-stimulating factor, G-CSF). Pegylation involves attachment of a large inert polyethylene glycol (PEG) polymer strand to N-met-G-CSF (filgrastim). Pegfilgrastim is a covalent conjugate of recombinant human N-methionyl G-CSF (filgrastim), a non-glycosylated protein expressed by Escherichia coli (E. coli) bacteria, and synthetic methoxy-polyethylene glycol-priopionaldehyde (PEG-aldehyde; m.w. = 20 kDa ). Attachment of the large inert linear PEG polymer to filgrastim protects the molecule from rapid metabolism, and significantly sustains its duration of activity due to decreased renal clearance. Recombinant Follicle-stimulating hormone (FSH) is a hormone synthesized and secreted by gonadotropes in the anterior pituitary gland. FSH is a glycoprotein produced by recombinant DNA technology, using a Chinese hamster ovary cell line transfected with the human FSH subunit genes. The primary amino acid sequence is identical to that of natural human FSH. Small differences in the carbohydrate chain structure are known to exist.The molecular weight of intact FSH is approximately 32 kD, the same as that obtained for natural human FSH. Anovulation (including polycystic ovarian disease, PCOD) in women who have been unresponsive to treatment with clomiphene citrate. Controlled ovarian (hyper)stimulation to induce the development of multiple follicles in medically assisted reproduction programs [e.g. in vitro fertilization / embryo transfer (IVF/ET), gamete intra-fallopian transfer (GIFT) and intracytoplasmic sperm injection (ICSI)]. Somatropin (human growth hormone; hGH;somatotropin) is a human-specific hormone protein secreted by the pituitary gland. hGH is the most important and abundant hormone regulating postnatal growth. The hormone is critical to the normal growth of children and also is significantly involved in regulating metabolism in both children and adults. Besides promoting growth, Somatropin influences protein synthesis, carbohydrate and lipid metabolism, and cell differentiation. The hormone is normally secreted throughout a person’s lifetime, although secretion levels decrease with age. Recombinant Somatropin is less immunogenic than the recombinant methionylgrowth hormone, Somatrem. Somatropin is a purified recombinant growth hormone prepared by using Escherichia coli. Interleukins are a group of cytokines that are expressed by white blood cells. They intervene in the organism’s immune reactions, acting as a mediator in inflammation processes or as a colony stimulating factor of certain blood cells. Interleukin (IL-2) is a naturally occurring hormone secreted by T-cells. It stimulates the growth and differentiation of the T-cell response. When used in immunotherapy to treat cancer, IL-2 enhances the ability of the immune system to kill tumor cells and may interfere with the blood flow to the tumor. This protein is a recombinant mutein (modified form) of human interleukin-2 (IL-2) expressed by a transformed Escherichia coli (E.Coli) bacterial cell line. Interleukin-2 is a non-glycosylated protein with a sequence – with two exceptions – homologous to human IL-2. Also, unlike human IL-2, since it is expressed by bacteria, Interleukin-2 is not glycosylated.It is a hydrophobic protein with a molecular weight of approximately 15,600 daltons (15.6 kDa). Molgramostim, also referred to as granulocyte-macrophage colony-stimulating factor (GM-CSF), is a protein secreted by macrophages, and stimulates stem cells to produce granulocytes and macrophages. In addition, it stimulates the functional activity of mature cells, inhibits the migration of neutrophils, is chemotactic for neutrophils and monocytes, and enhaces the ability of neutrophils to kill antibody-coated tumor cells and phagocytose bacteria and parasites. Molgramostim is a 127 amino acid protein produced by recombinant DNA technology, expressed in Escherichia coli (E.coli) bacteria. Recombinant GM-CSF has a molecular weight of approximately 14.000 Daltons (14 kDa). The protein has an amino acid sequence that is, with one exception, identical to the natural sequence predicted from human DNA sequence analysis. Because Molgramostim is produced in E.coli, the product is non-glycosylated and thus differs from GM-CSF isolated from a human cell.